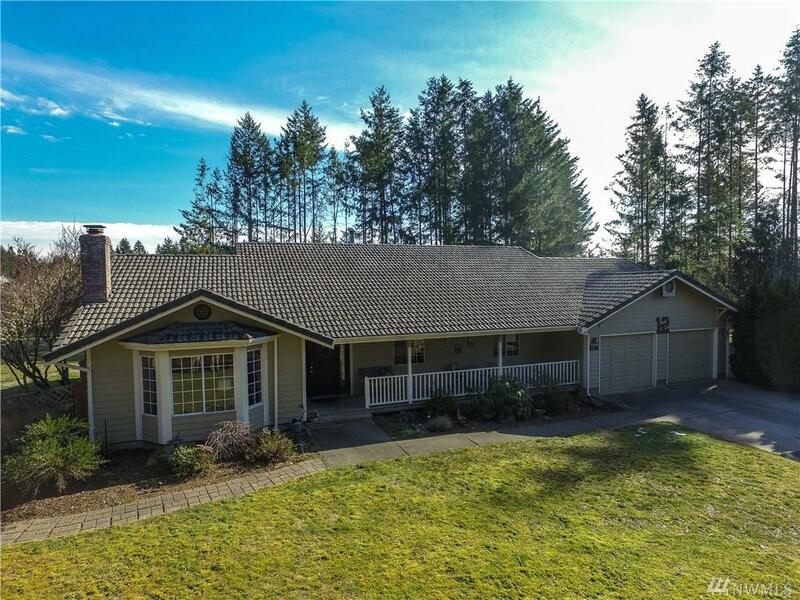 Highly desirable 2.6 acres, quality built one story in SE Olympia. 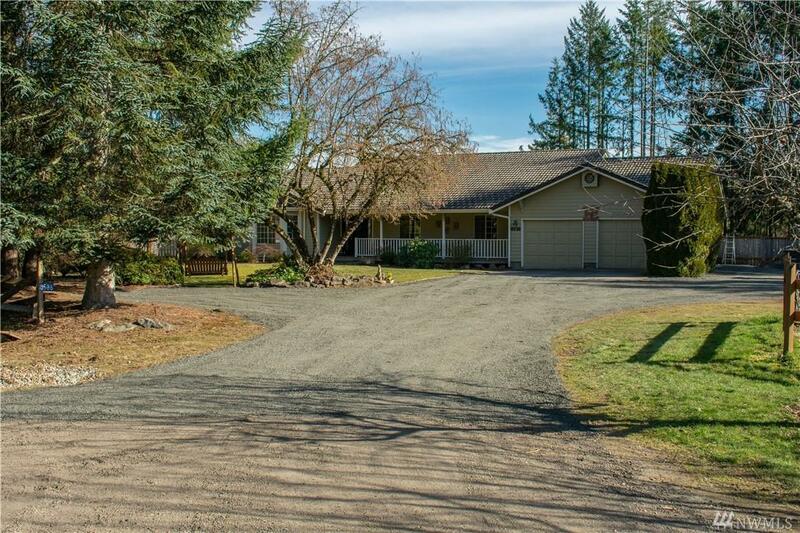 Open kitchen/great room space with cozy wood stove, formal living room with fireplace. Spacious master suite w/walk-in closet. 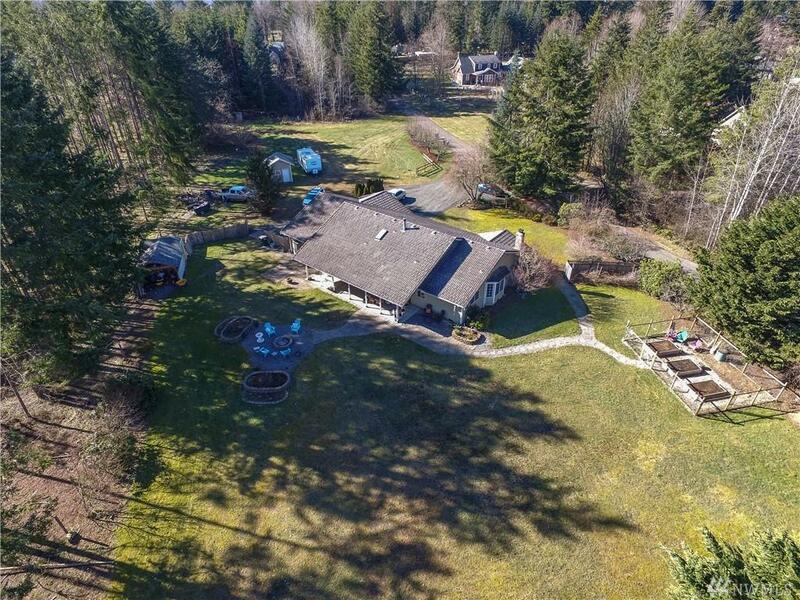 Private, park-like outdoor living spaces, with Mt Rainier view, front & back covered porches, firepit, fenced garden area with raised beds, ready for planting. 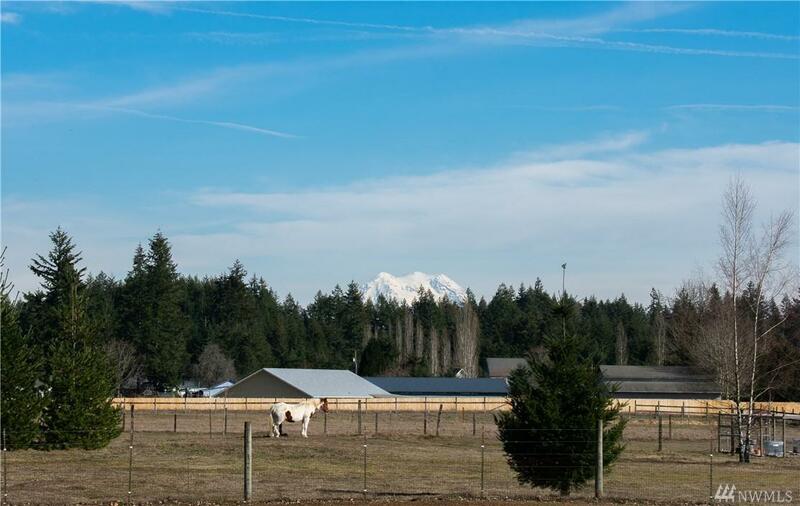 Raspberry bushes, apple trees, open spaces. Just minutes from services, golf & eateries; but with 'miles from nowhere' feeling.